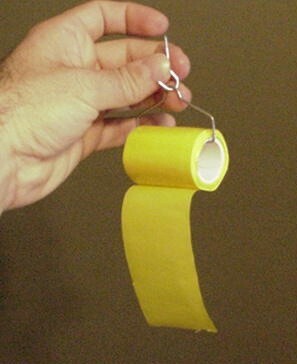 PRODUCT DESCRIPTION: Made with the traditional fly paper in mind, this 14 foot roll of sticky glue takes a long time to dry, uses scents and lures which flies and other flying pests like and does a great job of keeping what it catches. Most will last a month or more and usually fill up with pests before the glue goes dry. WHERE TO USE IT: Garages, decks, patios, kitchens, basements or any place out of the rain and sun where flies are a pest and you want to keep their numbers minimized. 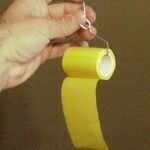 RATE OF APPLICATION: Use one roll for every 200 sq/ft of room.